Looking for a<a href="https://inhabitat.com/diy-how-to-make-a-delightful-shrimp-nigiri-sushi-roll-halloween-costume/"> last-minute Halloween costume</a> you can <a href="https://inhabitat.com/diy-how-to-make-a-bodacious-bodega-costume-for-halloween/">pull together in a snap</a>? Why not don the attire of Waldo, everyone's favorite perpetually-displaced childhood friend. 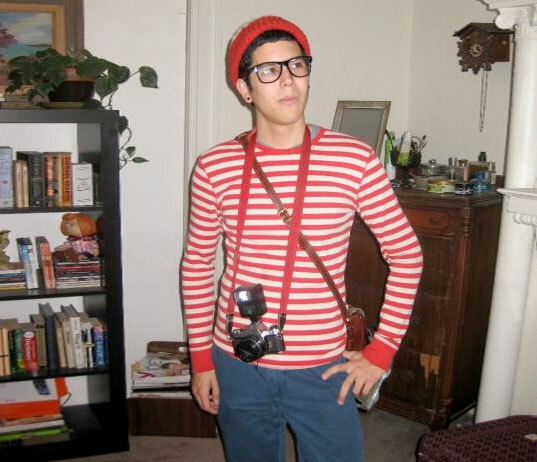 The beauty of being Waldo is that once you've got the foundation (a striped shirt and hat) you can easily accessorize it with items that you probably already have lying around the house. Just get ready for lots of attention, as you're guaranteed to make new friends left and right as they find you in every room you enter. Read on for tips to pull together the perfect Waldo costume! <h3>MATERIALS:</h3> - A striped shirt - A striped hat - Red yarn or string for the pom on the hat - Black, thick rimmed glasses - A satchel full of fun accessories <p> <h3>STEP 1: The Shirt</h3> Since striped shirts have been in vogue for the past few seasons it shouldn't be too hard to find a red one in your local thrift store (or perhaps even in your closet). <p> <h3>STEP 2: The Hat</h3> The striped hat is a bit more challenging - try looking for a white beanie at a thrift store and then covering it with red felt. You can make a pom pom by using a bit of red string and following this <a href="http://www.kid-craft-central.com/pom-poms.html">handy tutorial</a>. Once you've made the pom simply thread it through the top of the beanie. <h3>STEP 3: Waldo's Glasses</h3> Thick rimmed glasses have been all the rage the last few years, and you can easily find a donated pair at your local thrift store. If there happens to be prescription lenses set in the frames, simply pop them out! 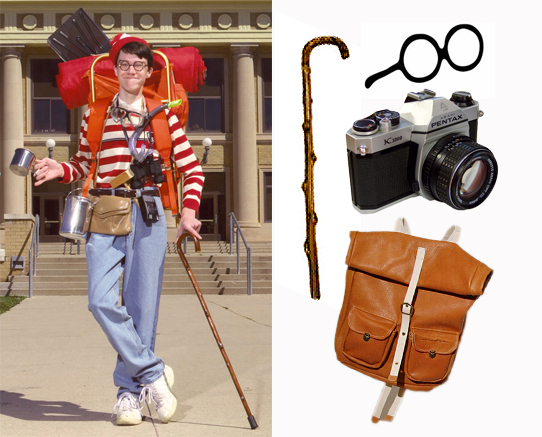 <h3>STEP 4: Waldo's Accessories</h3> Next comes the fun part - dig through your closet and see how many pieces of <a href="http://waldo.wikia.com/wiki/List_of_missing_objects">Waldo's traveling kit</a> you can find. A camera is a great functional accessory to bring along for the evening (bonus points if it has a bit of old-fashioned charm). A tin cup makes a handy (reusable) vessel for late-night libations, and a camp pack or satchel gives you an extra bit of carrying capacity. You probably won't be needing a snorkel or a shovel, but we won't judge you for going all-out. Looking for a last-minute Halloween costume you can pull together in a snap? Why not don the attire of Waldo, everyone's favorite perpetually-displaced childhood friend. 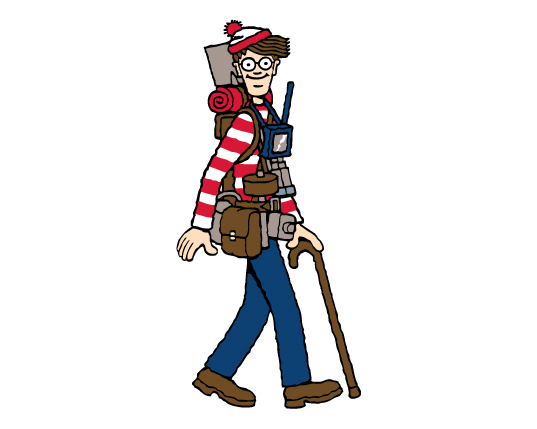 The beauty of being Waldo is that once you've got the foundation (a striped shirt and hat) you can easily accessorize it with items that you probably already have lying around the house. Just get ready for lots of attention, as you're guaranteed to make new friends left and right as they find you in every room you enter. Read on for tips to pull together the perfect Waldo costume!